Pinnacle Central and Doosan Portable Power staffers pose for a celebratory photo in front of the unit. Prestige Gunite of Orlando installs the concrete shells for thousands of residential swimming pools every year, and, as its name implies, its preferred method is to spray the concrete. The pneumatic application of gunite depends on reliable, hard-working air compressors, and Prestige has discovered a cost-effective way to keep itself well-equipped while enjoying the peace of mind that only a factory warranty can provide. 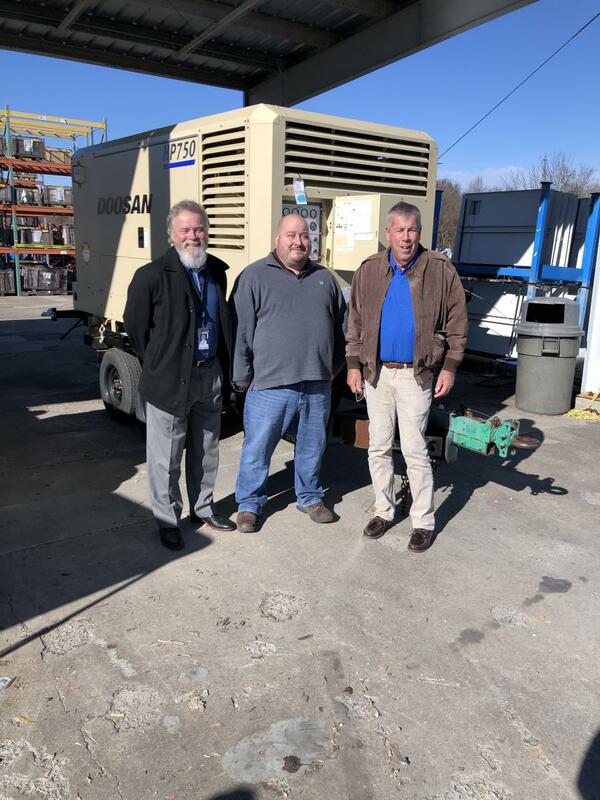 Prestige recently took delivery of a Doosan HP750 air compressor remanufactured by Doosan Portable Power. What made the piece special is that it was the 500th machine completed by the Doosan Portable Power Certified Remanufacturing Program — a cause for celebration at the company's manufacturing facility in Statesville, N.C.
"The strategy behind the remanufactured machine is that we know that there will be a factory warranty, with budget consciousness," said Lothar Alomia of Prestige Gunite. The company does $60 million in business annually in three areas of Florida, with a branch as well in Sacramento, Calif., and it works on 10,000 to 12,000 pools a year. One of the conveniences of using gunite is that it can be shot at high velocity directly against excavated soil, thus avoiding the need for elaborate form work. Needless to say, Alomia's remanufactured Doosan air compressor sees a lot of uptime. 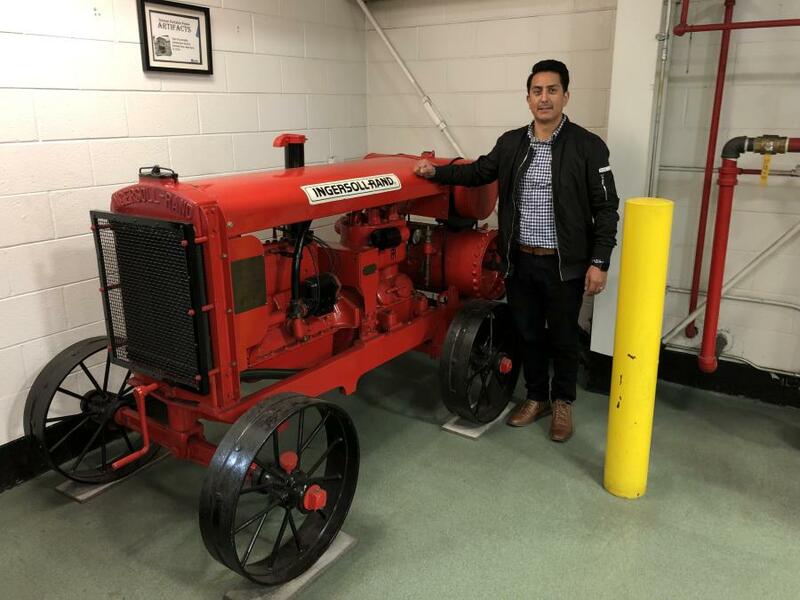 "Doosan was originally Ingersoll Rand, which is what we've been running since the business started over 30 years ago," Alomia said. "It's always been a good product and we've gotten a lot of life out of it." 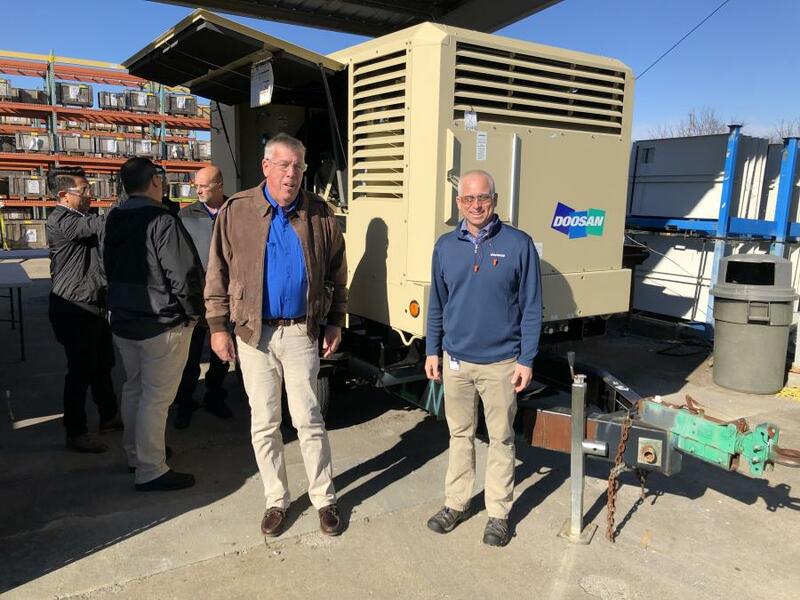 The Doosan Portable Power Certified Remanufacturing Program extends the life of eligible air compressor models and select generators and returns them to like-new condition. Each compressor receives a factory-reconditioned airend, and each generator receives a reconditioned alternator, as well as an engine of the same tier classification as it had when it was first built. Air compressors originally manufactured by Doosan or Ingersoll Rand rated 375 cfm or above are eligible for the remanufacturing program, as are Doosan G450 and G570 mobile generator models. The work can be a challenge, as many of the machines arriving at the remanufacturing plant have already seen thousands of hours of use. 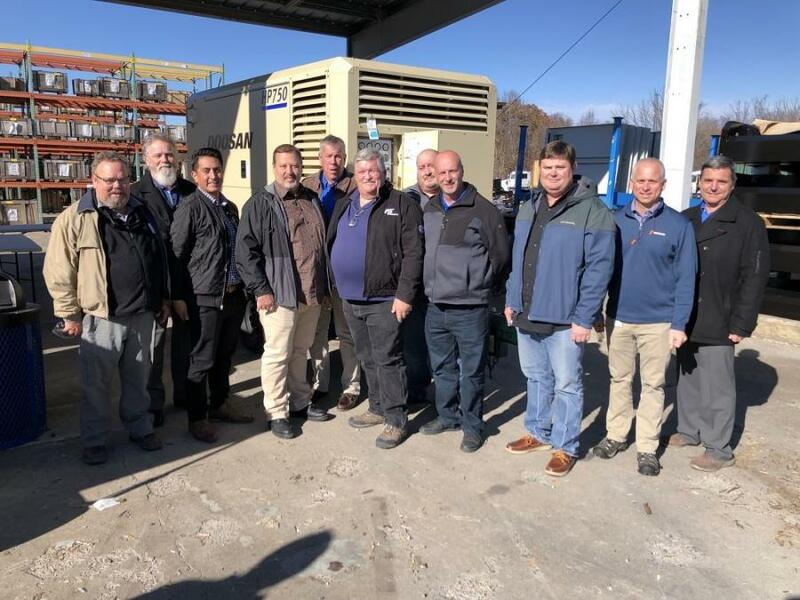 Prestige purchased the air compressor from Pinnacle Central Company, a Doosan Portable Power distributor with locations in Jacksonville and Polk City, Fla., and in Alomia's estimation, Pinnacle's service has been "top notch." "With Pinnacle, service is the big key to it," he said.